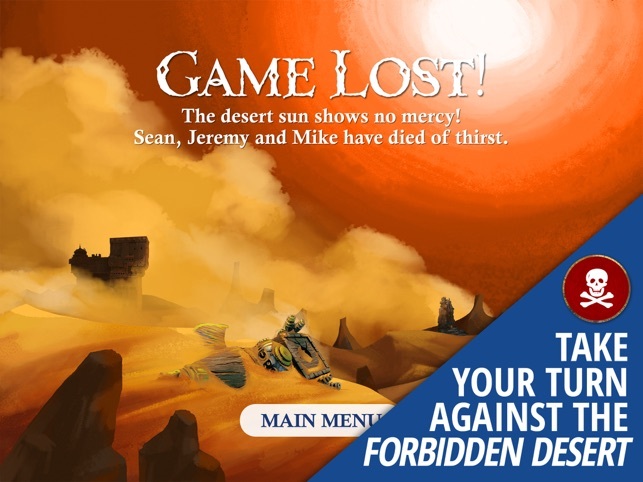 Forbidden Desert is a thrilling cooperative adventure based on the best-selling board game. Your mission to recover a legendary flying machine has just been thrown into chaos. An unexpected sand storm has forced your helicopter to make a crash landing. Now, stranded in the vast desert and exposed to an unrelenting storm, your only hope for survival is to quickly excavate the ancient city, find the parts to the flying machine, and rebuild it to escape. In order to survive your team must work as one. 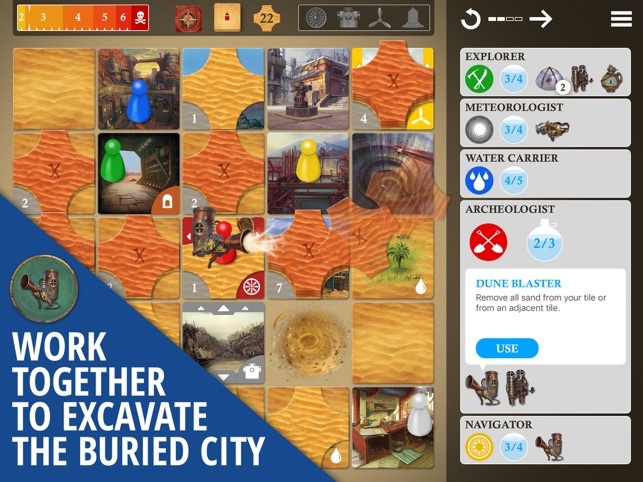 Forbidden Desert is a co-operative board game designed for 2–5 players. Share water and equipment and collaborate to plan the best strategy for victory. 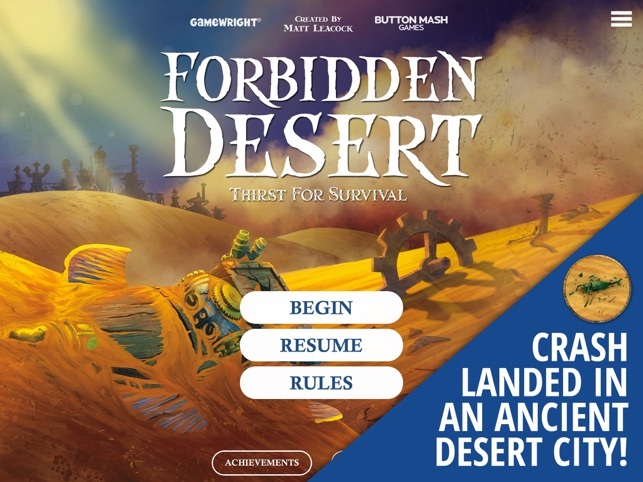 An unrelenting storm, disastrous sand dunes, and a blistering desert sun — Forbidden Desert is an incredibly challenging board game that will test the limits of your team's skill. 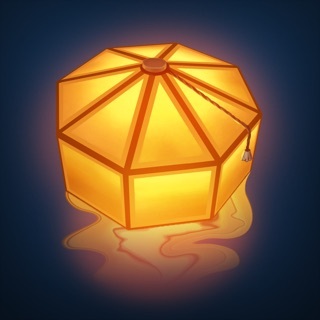 Does your team of adventurers have what it takes or will you become another artifact of the Forbidden Desert? In this version we fixed a few layout issues that cropped up in iOS 9 after our previous update. 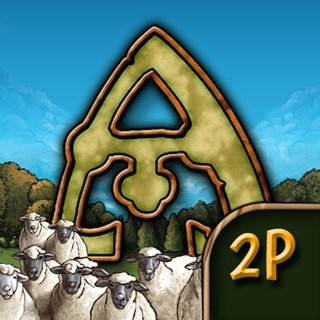 I bought the board game to play on our next game night and decided to get this app to play several games ahead of time. They have a nice tutorial video and good rules section. If you are new to the game I would review these and play on the easiest level (one below Novice) which is unique to this app with less bad cards and is almost a sure win. Remember there is an Undo button in case you click on the wrong button. 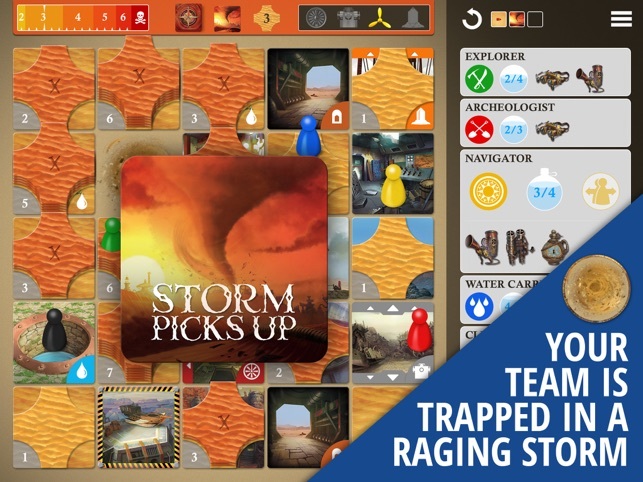 I have been playing on the Novice level which was a 50/50 chance of winning or better until I hit all four of the Storm Beats Down (SBD) in six cards which was sure death in two straight games. In my next ten games I had all four SBD a few times in eight cards and nine cards. It can't seem to get a good shuffle lately. I just hope the game wii eventually get out of this cycle. Having my Water Bearer die three straight games of thirst almost had me delete this game. I really like this game and hope my experience isn't normal. I am a Forbidden Island player who found that I loved Forbidden Desert even more! 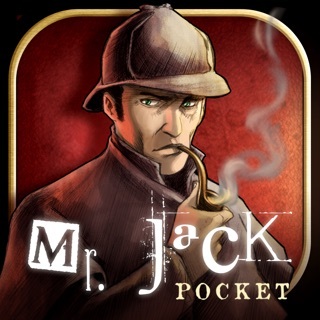 It plays well on the iPad, which not all board games do. It plays well with groups and alone. I also appreciate that ButtonMash Games clearly reads these postings and fixes identified issues with good speed. My one wish: that I could eventually turn off the animations. I enjoyed them for the first few months, but game play would be faster without them. This game has 5 different levels of difficulty. Level 1 you should win every time. Level 2 you may win about 50% of the time. 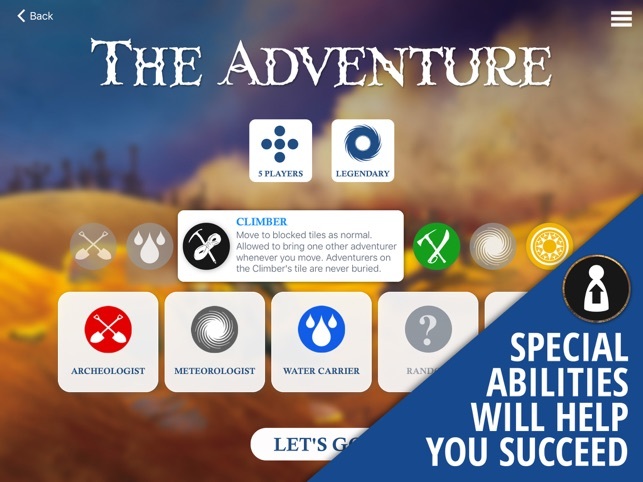 Level 3 you might win 1 out of every 100 games so roughly 1% success rate. Level 4 and 5 you better be able to accept that you’ll never win... Regardless it is insanely fun to play. I prefer level 3 myself, but get use to losing. © 2016, Button Mash Games Inc.